Potholes and cracked asphalt can not only be unsightly, but it can also cause expensive damage to cars and other vehicles. Additionally, it’s pertinent that initial cracks in the asphalt be repaired immediately in order to prevent water from seeping into the cracks and causing damage to the base. Unfortunately, as we go about our busy lives, we oftentimes don’t have the extra time and money to go about filling cracks and making repairs. As you know, the weather up here in the Midwest isn’t always forgiving, especially towards your asphalt. A newer, more technologically advanced method, known as infrared asphalt repair, has been developed to quickly and efficiently repair cracks before further damage could wreak even more havoc. Read this post to learn more about how this method works and why we here at American Sealcoating recommend it. To start, the word infrared is heat energy. Infrared repair utilizes infrared to heat the asphalt that had been cracked or damaged. 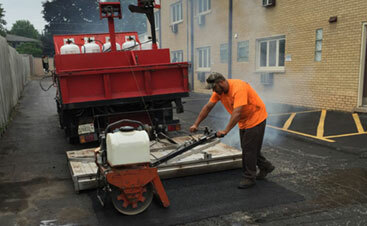 Infrared heats each layer of asphalt evenly, thus allowing for a cleaner repair. Once heated to a certain temperature, we call it a “burn,” , the asphalt obtains a consistency that enables it to cleanly be repaired. The machine that we use at our company is called “the Patriot,” and it efficiently “burns” the old, damaged asphalt to optimum temperature for repair. From there, we can assess the amount of work that needs to be done. Proceeding the “burn,” we’re able to roll and compact the heated asphalt. After scraping off anything that’s old and unusable, we get to work bonding together what could be salvaged. The heated material essentially melts back together. Dependent on the damage, we’ll also fill any openings that still exist with new materials. 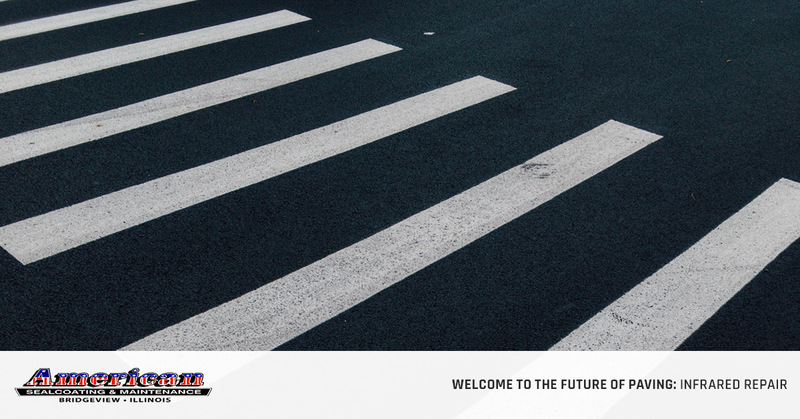 After cooling, your asphalt returns to its original, smooth consistency. It’s as if the crack never formed in the first place. Does this Work the Same for all Types of Asphalt? Like most things in life, not all asphalt is made equally. 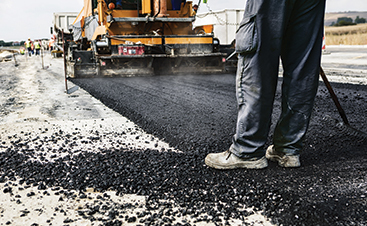 Dependent on the consistency, materials, and age of the asphalt, the amount of time or materials needed to effectively make repairs via infrared varies. Additionally, the type of damage or amount of damage could also affect how easily repairs could be made. If you catch the pothole or crack quickly, then it should be an easy fix. If you’re wondering how much it would cost for asphalt repair to your lot, our experts at American Sealcoating & Maintenance could provide you with an estimate. Again, this is dependent on the amount of damage that needs to be repaired. However, compared to most other methods, infrared repair is a cheaper method of asphalt repair. Infrared technology allows us to make repairs in about ¼ of the time and often times with less materials! 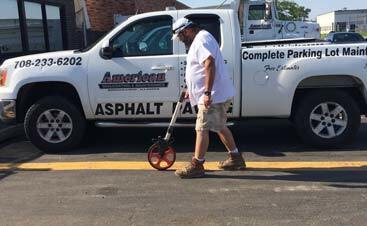 American Sealcoating & Asphalt is dedicated to providing quality repairs at a fraction of the cost. Therefore, we made it our priority to learn and perfect this method of repair that can save you money while also giving the asphalt repair needed to make your lot or driveway clean and safe.